With 5:53 left in the season-opening game against Villanova, sophomore running back Kee-ayre Griffin fumbled the ball on a first-and-10 play from the Wildcats’ 30-yard line. Villanova converted that turnover, the Owls’ fourth of the game, into a game-tying touchdown. 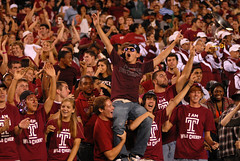 The Owls and Villanova entered the waning minutes of the fourth quarter even at 24-24. Redshirt junior quarterback Vaughn Charlton, making his first start since Nov. 24, 2007 at Western Michigan, took over and advanced the Owls to near midfield with 49 seconds remaining. On second-and-7, he dropped back in the pocket, and as the ball left his hands, it connected with a receiver – Villanova junior safety John Dempsey. The Wildcats went on to kick a game-winning field goal as time expired for a 27-24 win. The interception was Charlton’s third of the game and Temple’s fifth turnover. In the 15 games he either started or appeared in during 2006 and 2007, Charlton never threw more than one interception in a single game. Last year’s starter, Adam DiMichele, threw six interceptions his entire season. Redshirt sophomore Chester Stewart, the backup quarterback to start this season, threw three interceptions twice last year – Sept. 20 at Penn State and Oct. 10 at Central Michigan – after stepping in as the starter for the injured DiMichele. Coach Al Golden said Charlton’s first-quarter interception came on a misread. His second interception, which came in the third quarter, happened as a result of a bad snap that put the quarterback out of rhythm, causing him to rush the throw. Charlton, who was unavailable after the game, finished 19-for-28 for 317 yards and two touchdowns, a 75-yarder to sophomore wide receiver James Nixon and a 44-yard pass to junior wide receiver Michael Campbell, who finished with five catches for 93 yards. On top of the five turnovers, redshirt senior kicker Jake Brownell missed a 35-yard field goal in the second quarter. Brownell made eight field goals in 14 attempts last season and 28-of-31 point-after-touchdown attempts. On the Owls’ next attempt, a 25-yarder, Golden sent out freshman kicker Brandon McManus. McManus kicked the PAT attempts for the rest of the game as well. Golden said he and his staff still have to evaluate the kicking game and decide if the switch will be permanent. 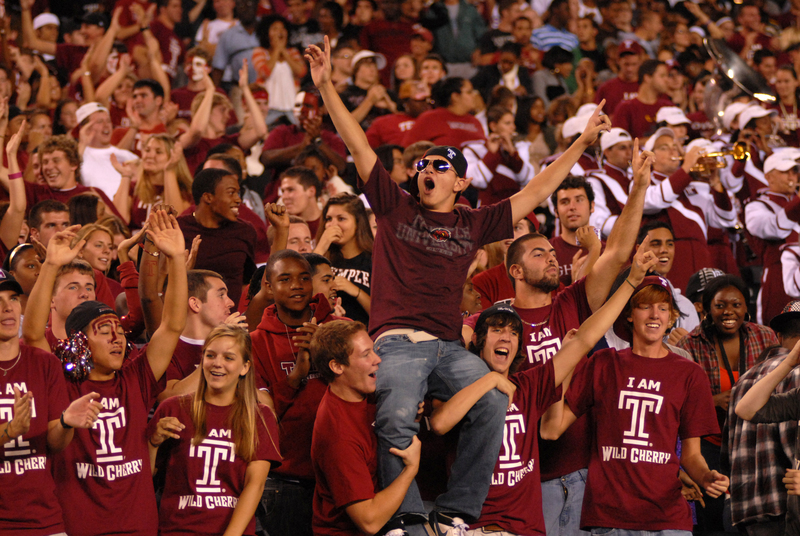 Temple’s next game comes at Penn State on Sept. 19. The Owls will have 16 days between games, while the Nittany Lions will already have played Akron and Syracuse to open their season. The redshirt-junior linebacker will begin participating in live drills on Monday, but he won’t participate in Saturday’s intrasquad scrimmage at Penn.